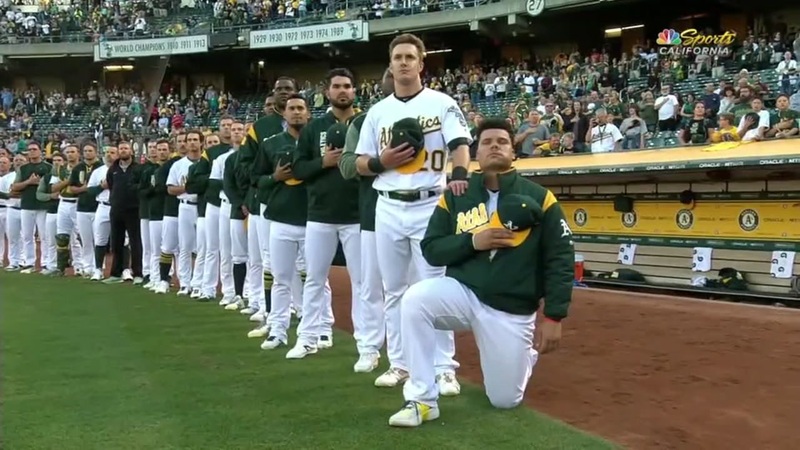 OAKLAND, Calif. -- The Oakland A's player who became the first baseball player to kneel during the National Anthem says he was refused service by a waiter at an Alabama restaurant. "He was like, 'Oh you're that guy huh,' he goes, 'You're the guy.' I was like, 'Excuse me?' He goes -- 'You're the guy who took a knee.' He goes -- 'I voted for Trump and I stand for everything he stands for,'" said Maxwell, describing the incident. "And I said, 'Oh really.'"